Between February 2008 and January 2010, Realeyes Sustainability (now Perspectivity) introduced a whole systems approach to introduce sustainability into all of the operations across the Council. Dublin City Council employs 6000 people on 200 sites across the City. It is responsible for 26,000 housing units, delivers planning, roads, fire, vehicle licensing, water, and waste collection services as well as parks, heritage, and economic development. It has corporate and legal commitments with regard to sustainability and the City Manager at the time was committed to ensuring that Dublin’s status as a successful City Region would be cemented by having ambitious and stretching commitments to sustainability. Practical day-to-day issues also buffet the Council, from controversial incineration proposals; to congestion; to running out of water and water treatment capacity; to managing the impacts of climate change. The Council recognised that a comprehensive approach was needed that would allow a common approach to be used across all of the operations, but one that would be flexible to cope with the very different nature of the services delivered. 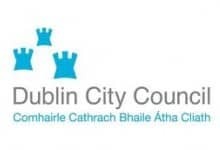 It is sometimes stated that Dublin City Council is like 10 different organisations with the same name. Senior Managers – The project reported directly to the senior management team. The senior managers were among the first to be engaged and they were essential in driving the process into each service unit. Their initial engagement was by training and workshop sessions. Strategic Leadership Team – The Strategic Leadership Team was created to ensure that the practical issues of access and direction were being pursued. This team opened opportunities in different parts of the organisation. Expert “Champions” Team – A group of employees became the internal champions for the process – they received detailed training on sustainability and their job was to become the internal capacity on sustainability. They would compile the “sustainability report”. Training Programme – A series of trainings was carried out throughout the organisation in every Department. Several of these were followed up as pilot programmes where detailed actions plans and investigations were created. The detailed plans took place in – housing maintenance, area offices, leisure centres, community buildings, fire service, water service, procurement and planning. Sustainability KPI’s integrated into the PMDS performance management system. Specialised Workshops – Workshops were facilitated with specific issues at play including – creating issues papers for the new Development Plan, Understanding the impact of planning policy changes on public home management (Part L), examining opportunities for integrating some fire service resources with water and engineering requirements, cleaning regimes across the sites, energy management). Communications – Internal communications through Internet (a brand was created called Sustainable Dublin), a separate page was created, and regular notices, thoughts, trainings, were issued on the intranet. Regular features were included in the corporate newsletter. A major annual report was created outlining the key commitments and progress against them. This report continues to be produced today and continues to evolve with innovations. Major events – Several conferences were held with up to 400 staff present – where issues of integration and motivation were highlighted and thought leaders inspired and motivated. Outreach – Recognition of the “whole system” nature of the work meant bringing in businesses, transport operators, policy makers, event organisers, community groups, tenants etc into the process.